Luxembourg based design company Super-ette has just launched a new collection with pieces by François Bauchet, Guillaume Delvigne, Fanny Dora, Eric Jourdan and Tomas Kral. 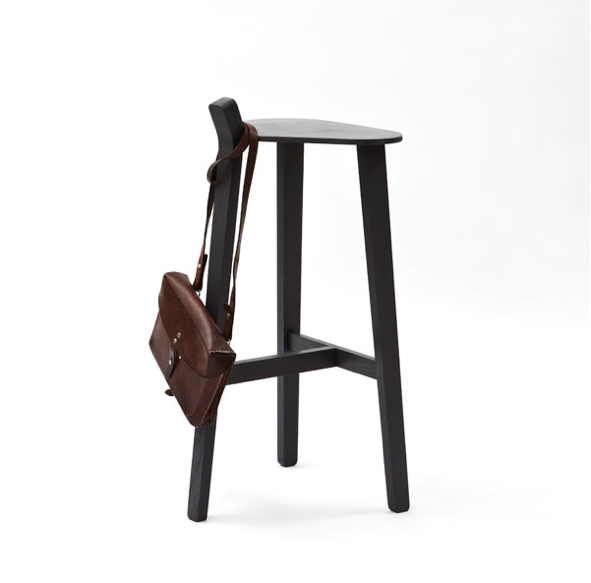 Saddle or stool? With Bronco, I like the idea that at first there is speculation about which way to sit: in classic mode or astride. 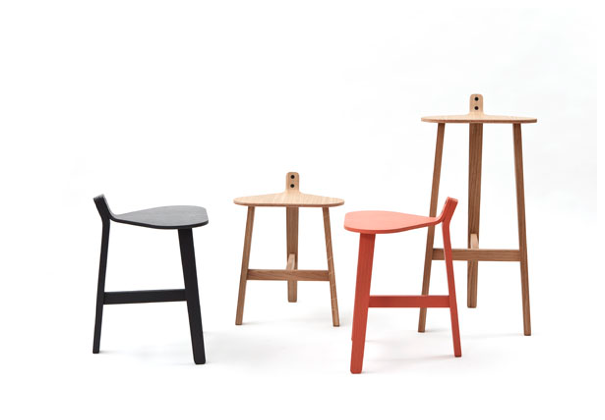 With these two eye-catching screws, the moulded piece of wood that interfaces the seat and one of the feet can also be a handle, lower back support, hook, says Guillaume Delvigne. 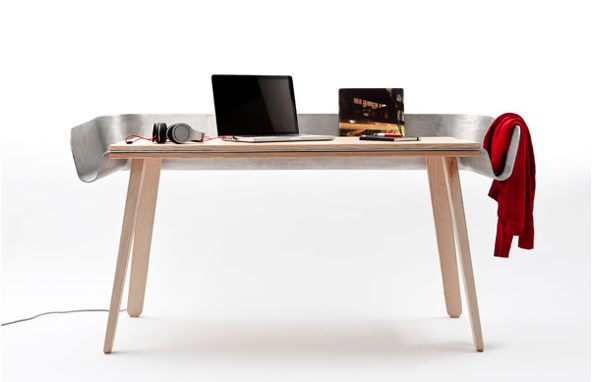 Homework is a work table which has been set to be even more functional: an aluminium cloth is placed on a wooden table then folded to form a refined extension, a toolbox to store documents, objects, photos…that you need or simply desire to work, says Tomas Kral. In the world of magic the Prestige mirror is the conclusion of a trick, the moment when the audience is captured. 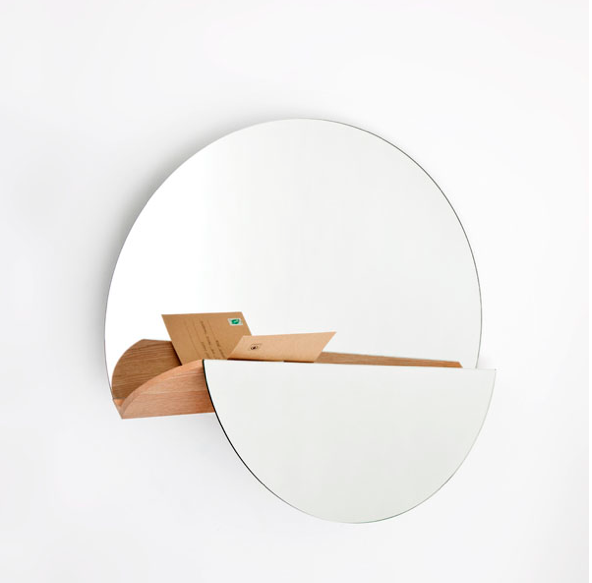 Like an illusionist, your perception will be deceived by this mirror using an anamorphic ‘trick’: from the front, it is a traditional round mirror, but from a different perspective a second function is revealed, a layer of wood, a place for your small belongings, says Fanny Dora. 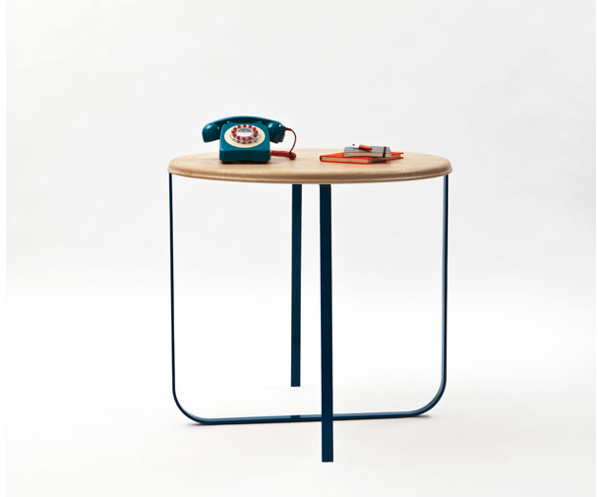 Gilda is a simple and basic table, with a very assertive character. A tricky exercise, since basics have no room for a glut of features. After having constructed the table around a “modern” base, I sought to tackle the table top, to be more precise its border, in a virtually traditional way with an outline which readily reflects the world of traditional cabinet making, says Eric Jourdan. I like the idea of economy, even if economy is ironic here since it lies in the organisation, in the clarity of the design and not in the material. 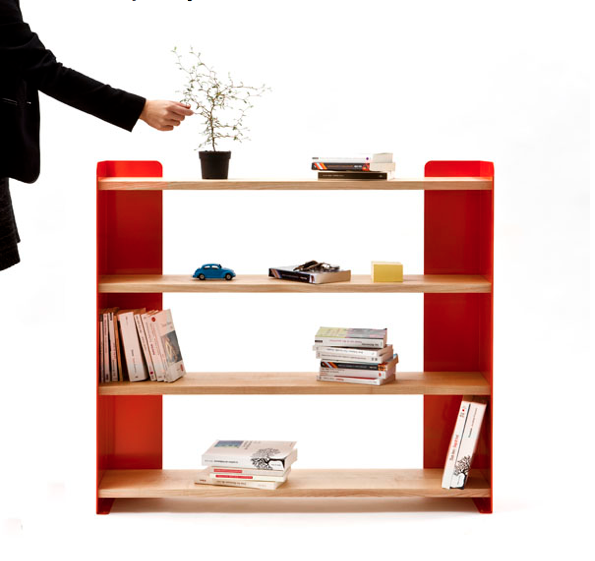 Monad is a solid shelf made from solid materials, wood and metal, a far cry from cheap products, says François Bauchet.